1) Key 1 and key 2 is for steering wheel control . 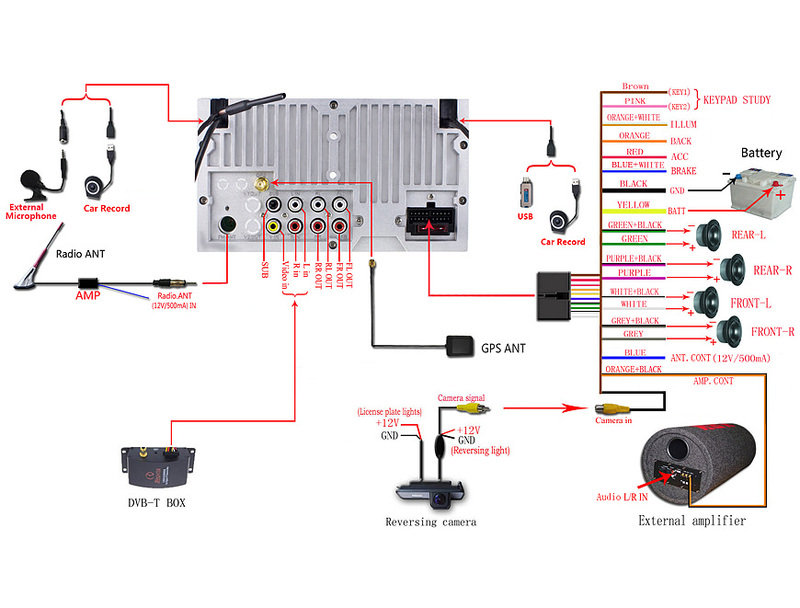 you need to connect the key 1 or key 2 or key 1 and key 2 with your original steering wheel control wire , GND (black wire ) should be connected as well . 2) "ILLUM" wire is for button light control wire . you need to connect this "ILLUM " wire with your original car head light wire . Then button light works . 3) "back " wire offers power for your reverse camera . 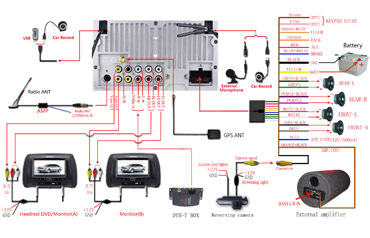 4) "ACC" "BATT" "GND " wire is important on powering the head unit . 5)"ANT.CONT " wire offers power for your radio antenna . 6) brake wire no need to be connected . The function has been built-in the head unit . Have any problems during update , please contact us europe@joyingauto.com . we will try best to help you .